Hi! 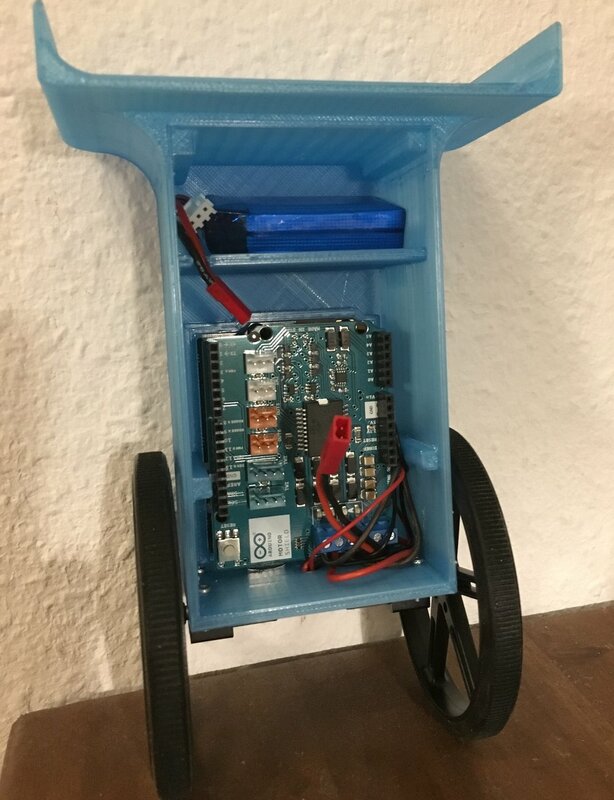 Here are a few links which may be useful if you want to get started building self-balancing robots! I found that with the components below it's easy to achieve some nice results very quickly (<5h)! I used the Arduino 101 to control the robot. It's quite amazing because you get the 6-axis accelerometer and gyro directly on the board. Everything you need to use the sensors in your code is very well-documented here. Now all which is left are two motors, a motor shield, a battery, wheels and a frame. You could use the da Vinci Mini 3D printer to build the frame. Many thanks to A. Holtkämper for designing and printing the frame! Let me know what you think or if you have any questions!